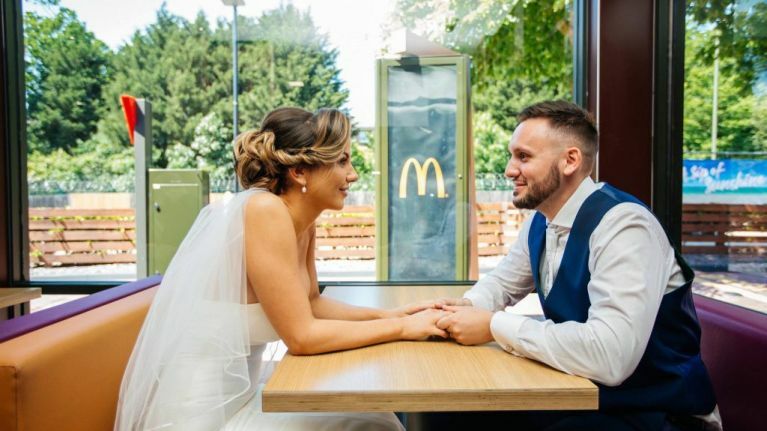 This couple got married in McDonalds, because why the hell not? We all dream of our wedding day. From the dress and the shoes to the venue and the food - we all have ideas. Well, for one bride, her dream was to get married in McDonalds. Last June, Carmel and Phil had the wedding of their dreams, in their beloved fast food joint. "We wanted our love for food to be incorporated into our wedding day as we kind of fell in love over our love for food. "We also had a food truck at our wedding and a doughnut wall to follow the gourmet junk food theme." So, how does McDonalds fit into all of this? "We got married and drove straight to McDonald's. I didn't actually manage to eat any of the food truck as I ate 20 McNuggets and chips in there before we got to our reception. 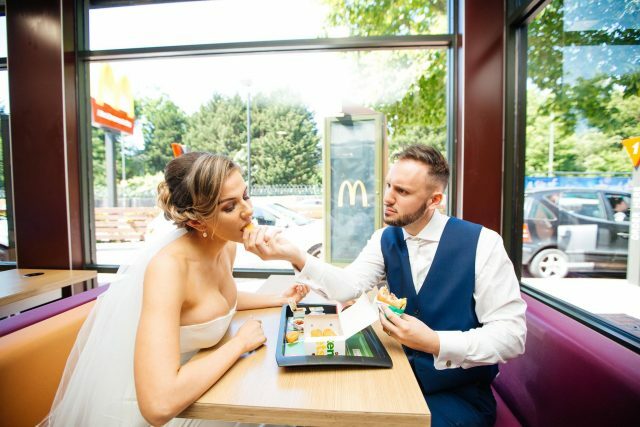 "Everyone was staring at us and asking us questions they couldn't believe we had really got married and gone to McDonald's in our wedding attire. It was so funny the staff were loving it, too." Now, if that isn't comitment to the fast food life, I don't know what is. Congrats to the loved-up bride and groom.